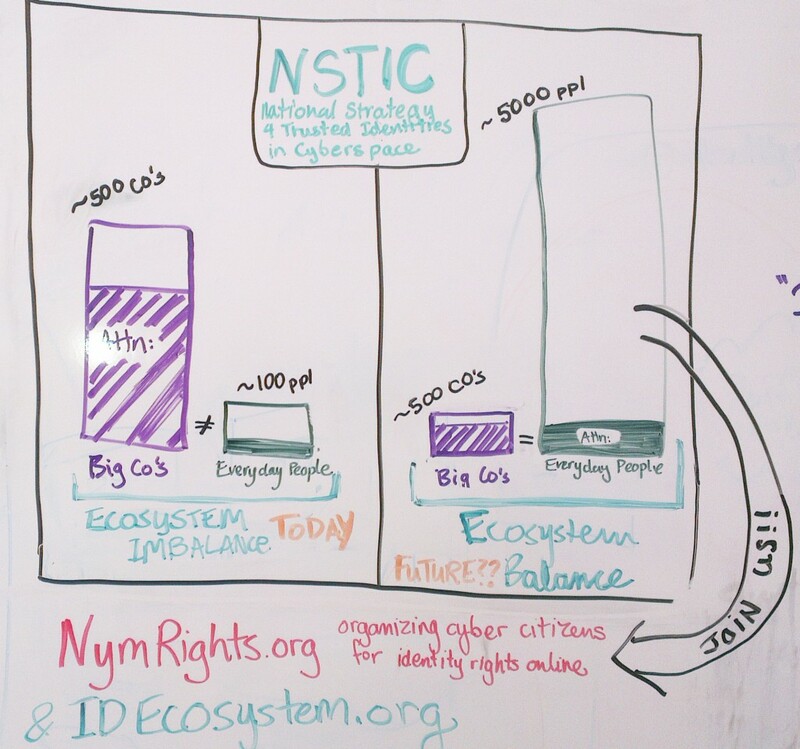 My colleague at the Personal Data Ecosystem Consortium, Phil Wolff, hosted sessions at the last two IIW‘s that invited community consideration of the risks to NSTIC. He has put together a paper that outlines the results of these two sessions that were titled “Death to NSTIC” the white paper is “What Could Kill NSTIC: A Friendly Threat Assessment”. He has a video about it and you can download it from our website. I'm running for Mayor* again! I’m planning on running for Mayor * again (a position on the NSTIC Steering Group Management Council) – this time for a different “municipality” (delegate representative). Currently I am the Consumer Advocate delegate – I’m going to shift my membership and join the IDESG with my hat as Executive Director of PDEC and run for the Small Business and Entrepreneur delegated on the Management Council.